Searching for floor plans, building types, sizes and options has never been easier. Welcome to Mobile Modular! 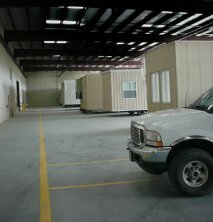 One of the largest providers of modular buildings in the United States. 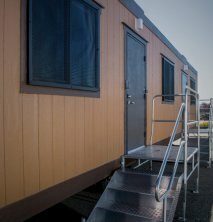 Apart from standard custom prefab buildings for commercial and education solutions such as mobile offices, classrooms, restrooms and more, Mobile Modular now also provides blast resistant modules for rent, lease or sale. Modular, or prefab buildings are made out of components that are prefabricated off-site or in factory settings and then assembled on the construction site. This building method is a greener, smarter and faster way to build with less waste and more recycling. The result is a building that meets building codes with uncompromising standards of quality and safety. Pre-manufactured buildings offer excellent flexibility because they can be disassembled, relocated, or refurbished easily to meet new needs. 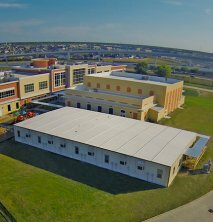 Mobile Modular offers a large inventory of commercial modular buildings to meet the needs of major industries including education, construction, healthcare, government, commercial, retail, industrial and petrochemical. Customization - Our temporary and permanent portable modular buildings are available for rent or sale, in a vast range of internal and external finishes, sizes and configurations, tailored to suit your project requirements. 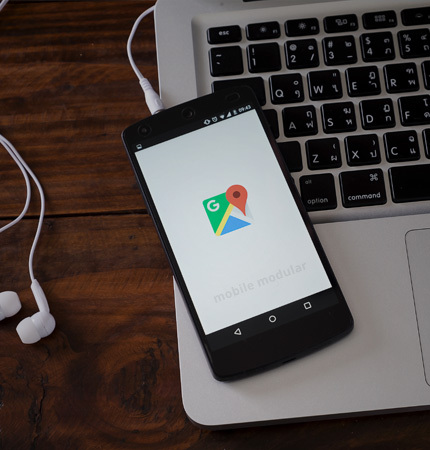 End-to-End Service - If you're entering the world of mobile buildings for the first time, let members of our staff guide you through every step of the way from quote to installation. Technical Expertise - Our expertise extends beyond the knowledge of our products to city codes and state regulations, so there are no hitches along the way. We take our service seriously: our technicians are our own employees and not independent contractors. On-Time Delivery - On-time delivery of our temporary prefab buildings ensure that there are no delays in your project. Green Buildings - Applying environmentally responsible practices in our everyday work, we prioritize recycling and the use of safe and sustainable materials. Live Inventory – We serve our customers with unparalleled transparency. Our quick and efficient search tool for a wide variety of medium and large prefab buildings in stock helps customers who are on a tight schedule. GSA Approval – Our GSA approvals in place to provide economical and flexible modular building solutions to government agencies. In case you have any further questions about modular buildings specifications, installation, turnaround time, size specifications, damage cover, insurance, contractual obligations, or adherence to building codes, browse through our comprehensive FAQs section or call us at 877-221-2813. Request a quote if you are ready to buy, lease or rent our permanent and temporary modular building solutions.